As another year of “Pursuing the Possible” comes to a close, we fondly reflect on all the wonderful people who shared it with us – working side by side, tasting with us, or joining us at the table. Although the vineyards are now quiet, we know that underground the roots are seeking nutrients to begin to grow anew, anticipating the New Year just as we are. We feel grateful for an exceptional inaugural harvest and the opportunity to make wines that authentically express the beauty of Napa Valley. Whatever your traditions this season, may they be full of joy. We lift our glass to share a toast with you for a wonderful holiday season with family and friends!! 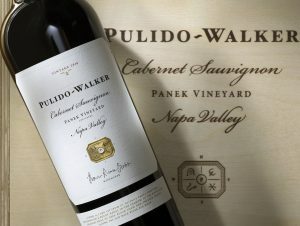 We celebrate the release of this extraordinary vintage of Pulido~Walker Cabernet Sauvignon from Panek Vineyard with your invitation to purchase arriving in January. This is such a well-deserved honor for an amazing, talented friend and fellow South Carolinian. Congratulations Thomas! The 2018 harvest of our Estate Cabernet Sauvignon grapes occurred over a couple of weeks during the last half of October as we picked each block only when it was ready. 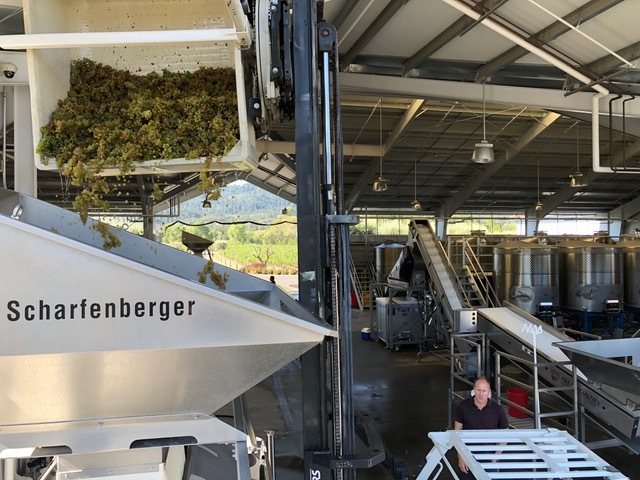 Under the watchful eye of our winemaker and viticulturist, we carefully dropped fruit with several passes on both green and red ensuring only the highest quality fruit remained for harvest. 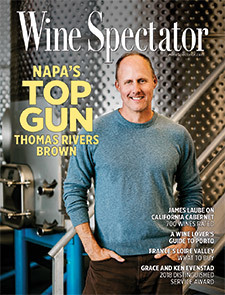 Under the watchful eye of winemaker Thomas Rivers Brown…. 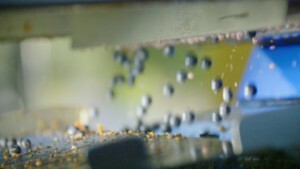 The Estate fruit has fermented in four small-lot tanks segmented by clonal selection and vineyard block location. 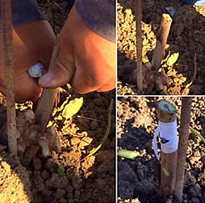 This approach allows us to observe the development by individual block and the rootstock’s expression of the site. Our learnings grow with every vintage and allow us to continually improve our farming and winemaking. Our Estate wine will age in 100% French Oak barrel for the next 20 months and then rest quietly in bottle for at least another year. 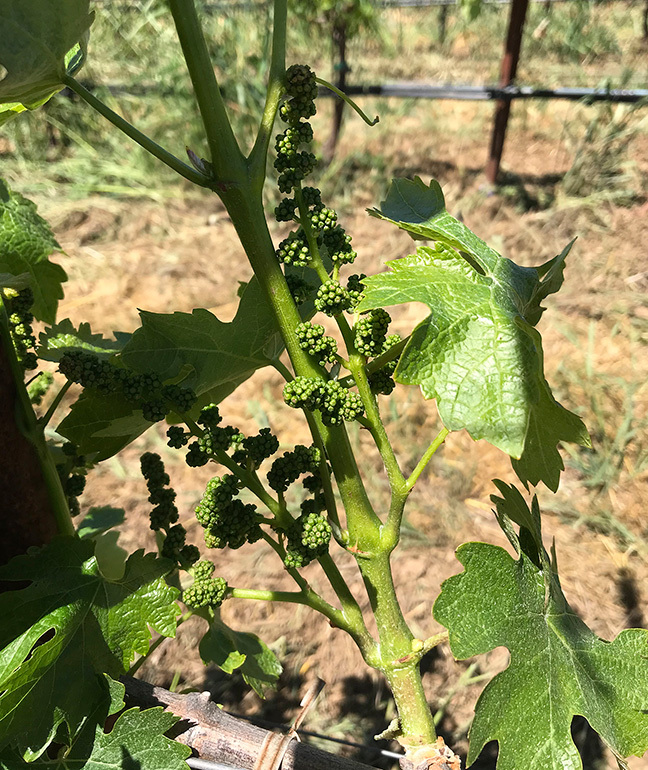 We greatly anticipate sharing our milestone first Mount Veeder Estate Cabernet Sauvignon wines with you in late 2021. 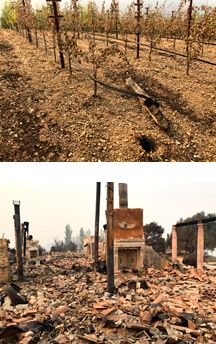 The devastating fires in Napa and Sonoma County this fall impacted many of our friends, collectors, fellow vintners, as well as our community. But as planning for the future begins, we reflect on how fortunate we are, and count our blessings as we continue to pursue the possible. The most precious gifts during our journey into the world of wine have been the incredible friendships and fabulous experiences that come from sharing our wines with you. We are so grateful to be here in the Napa Valley—this community has given us far more than we ever expected. We are thankful for the overwhelming support so generously offered over the last two months. Tears come to our eyes just thinking about your concern and prayers. The proposals of driving cross-country to haul away debris and bringing high-tech “Fisher-Price” tool kits to help us rebuild brought smiles to our faces and much-needed laughter. All the messages of encouragement gave us strength—we will be forever grateful for these acts of great kindness. While the fires have stopped burning, there are many who still need emergency services to recover. 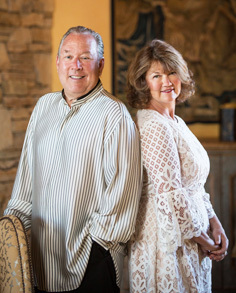 Pulido~Walker has made a significant contribution to the Napa Valley Community Foundation relief fund that supports fire victims with food, temporary housing, medical and mental health care, child care, and livestock and animal care. Please join our family in helping those impacted by the disaster. 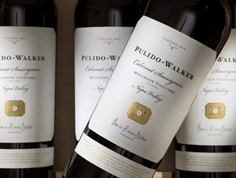 Pulido~Walker Wines—The News Is Great! As the skies have cleared and life returns to the normal rhythms of autumn in Napa, our vineyard management team has completed their post-fire assessment of the Pulido~Walker Estate Vineyard on Mt. Veeder. Thankfully, the news is positive. Eighty percent of the vineyard is intact with no damage, and we will be restoring impacted areas before next spring. We are ecstatic to share that the inaugural estate harvest will take place as originally planned next fall! 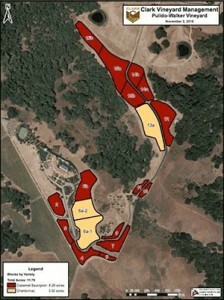 All other Pulido~Walker vineyard sites and production and storage facilities were thankfully not touched by the fires. The 2016 and 2017 vintages are safely stored in barrel. The 2015 Pulido~Walker single-vineyard designate wines are now resting in bottle and will be ready for release in just a few months. The wine promises to be as exceptional as ever. 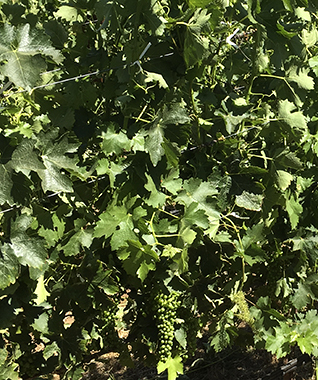 After three consecutive Napa Valley vintages described variously as “classic,” “textbook,” and “near perfect,” 2015 produced high-quality fruit at much lower yields—small berries with incredible skin density. The 2015 Pulido~Walker Cabernet Sauvignon from Panek Vineyard is exceptionally dark for this site, yet not overly tannic. Our winemaker Thomas Rivers Brown reports the wine is showing excellent tannin lurking underneath the initial generous fruit profile. The 2015 Panek has a dark, seductive quality that derives from densely concentrated fruit. It has all the concentration of the similarly dark 2013 vintage, while the trademark fruit-forward quality of the 2015 exponentially increases the pleasure factor. As a result, Thomas says, the wine is drinking beautifully young. So while it may take a concerted effort to lay down some of the 2015 Pulido~Walker Cabernet Sauvignon from Panek Vineyard, those who do so stand to be richly rewarded. We will be celebrating the release of this extraordinary vintage in January, with three 750 ml bottles packaged in our custom birchwood box for $585. 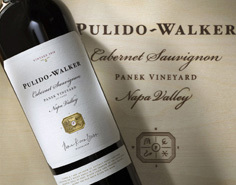 We are honored that Pulido~Walker Cabernet Sauvignon was one of the Napa Valley wines selected by Robert Parker’s Wine Advocate team of experts for the Michelin Guide awards gala in New York City on October 30. 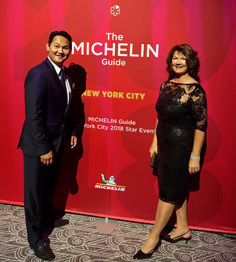 Dinner was prepared by three of the world’s most renowned Michelin-starred chefs: Eric Ripert, Daniel Boulud, and our very own Ken Frank of La Toque, Napa. Our passion and commitment to the “pursuit of the possible” continues in every aspect of our lives as we rebuild our dreams on this magical hillside. From the bottom of our hearts, we wish you all a wonderful holiday season! This season, gratitude has been on our minds. With another beautiful harvest completed and in barrel, and Thanksgiving just around the corner, we feel extraordinarily blessed by the many gifts brought into our lives through our remarkable journey into winemaking. We are thankful for our amazing team, who are such a pleasure to work with and who enable us to craft extraordinary wine year after year. 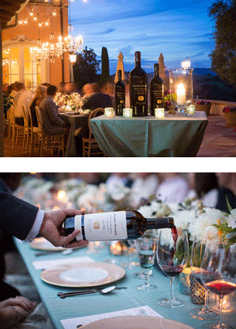 We are also honored and grateful each time we meet or hear from our wine collectors and appreciators. Please accept our heartfelt thank you for blessing us with your friendship and for including Pulido~Walker in your wine cellars! The ten-year mark seems to be a magical one for Cabernet Sauvignon plantings in Napa Valley. Panek Vineyard hit its tenth anniversary with a 2014 wine that shows a savory element which brings a pleasant complexity to what has been a consistent, generously fruited palate. With this vintage, we return to the familiar red-black fruit profile, greater acidity, and caramelized sugar qualities that distinguish this Cabernet Sauvignon from its St. Helena site. 2014 Pulido~Walker from Panek Vineyard represents the best of the 2012 and 2013 vintages wrapped up in one great wine. This extraordinary single-vineyard wine will become available in January, three 750ml bottles packaged in our custom birchwood box for $585. 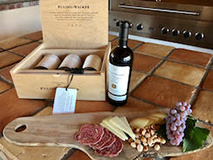 Our 2014 Pulido~Walker Cabernet Sauvigno wines are hand labeled, wrapped in tissue, and packed in custom birchwood boxes. The wine will rest until shipped in February (Panek Vineyard) and October (Melanson Vineyard). The 2016 vintage looks to continue our run of great vintages in Napa—now five in a row! Yields were all over the place but quality was consistently high. The later pick lots were especially strong—they colored up quickly and the aromatics were clean and focused, even early in the ferments. I think we have the best ever set of lots from Panek. Even some of the traditional laggards look strong which should make for some enjoyable blending sessions. Melanson may have had the lowest yield relative to historical average of all the vineyards we dealt with this year. Everything looks promising. 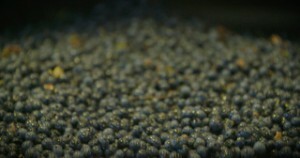 Wine was an electric opaque purple color after a day in the tank. Tannins built really slowly in tank due to the fruit’s complete ripeness, so we were able to go a little longer on skins and extract the best from the vintage. With the state-of-the-art optical scanning technology at our winery, we are able to have even greater precision in selecting the best berries to our exacting standards for the Pulido~Walker single-vineyard wines. What went into consideration when selecting the specific clones of Cabernet Sauvignon and Chardonnay for planting at the Pulido~Walker Estate Vineyard site? TRB: In planting a large percentage of the Pulido~Walker Estate vineyard to Cabernet Sauvignon, clone selection was key. Late-ripeners like Clone 4 and Clone 6 aren’t suited to the cooler climate of the estate overlooking the San Pablo Bay, so we selected very high quality clones that consistently ripen early, with medium-range ripeners planted in the warmest spots to give us blending possibilities. KM: As far as clonal selections, we currently have 18 separate blocks—15 blocks are Cabernet Sauvignon and 3 blocks are Chardonnay. For Cabernet, we chose 4 different clones. Three of the clones are originally from France: 169, 685, and 15. We also utilized one historic domestic clone, FPS 30, which was originally the “See” clone, selected a long time ago from the See Ranch in Yountville. These clones were all selected based on historical performance and quality, as well as optimally pairing clones to the site. In regards to Chardonnay, as mentioned above, we planted “Old Wente” and “Montrachet,” two of Thomas Brown’s favorite clones. We are pleased to introduce Kelli Williard, our friendly and knowledgeable point of contact for Pulido~Walker collector inquiries. Kelli is integral to our winery support services and is managing orders, fulfillment, and inventory tracking. She will be happy to answer any questions regarding your wine orders or shipment tracking. 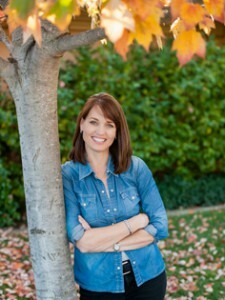 Kelli has been working in Napa Valley for a number of years, primarily with limited production, premium wineries. Having the unique ability to wear many hats, she is keenly committed to customer support and operations at the highest level. Kelli’s experience includes the role of general manager at BRAND Napa Valley on Pritchard Hill and business manager for Schrader Cellars. Growing up in Oregon’s Willamette Valley, Kelli discovered a love of wine while attending Oregon State University. 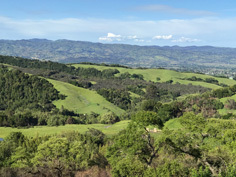 She and her husband moved to the Napa Valley 19 years ago to be closer to the vineyards, to build a successful custom swimming pool and landscape construction company, and to raise their two sons. Kelli is passionate about spending family time with their pets, watching football, savoring great food and wine, and teeing off for the occasional round of golf. For questions about our wine or for assistance with your order, please contact Kelli at Kelli@puidowalker.com or call 707-226-1900. This recipe is a twist on the traditional Thanksgiving turkey and was inspired by The Purple Pig in Chicago, with Estate Ambassador Daniel Ha incorporating ingredients that are growing in our garden at the Mt. Veeder Estate. Serve with a glass of the 2012 Pulido~Walker Panek Vineyard Cabernet Sauvignon for a perfect holiday pairing. 1) Place the fennel seeds and peppercorns into a small pan over medium-high heat. As soon as the fennel begins to pop, swirl the spices around and turn off the heat. Place the toasted spices into a mortar and pound with the pestle until coarsely ground. Stir in the brown sugar, salt and cayenne. Rub the spice mix over the turkey legs, wrap in plastic and refrigerate for a minimum 3 hours, or preferably overnight. 2) Take a saucepan or Dutch oven-style pan that will fit the turkey legs snugly and in one layer. Place the herb sprigs on the bottom of the pan. 3) Remove the turkey from the fridge, pat dry with a paper towel and lay the legs over the herbs. Dot the whole garlic cloves around the legs. Carefully pour the lard over the turkey legs to cover completely. Put the lid on the pan and cook in the oven for approximately 3 hours. 4) When done, leave the whole pan to cool completely on the stovetop or bench. Remove the turkey legs from the fat and lay them on a plate. Cover with plastic and refrigerate until needed. 2) Place the pomegranate molasses, sugar, virgin oil, water and salt into a large mixing bowl. Stir to combine. Add the kale and radicchio and toss gently to coat. 3) Lay the vegetables in a single layer in a large ovenproof dish that will also fit the turkey legs. Take the turkey legs from the fridge and nestle amongst the vegetables bake in the oven, basting halfway through. After 20 minutes, remove the turkey legs, wrap in foil and set aside. Return the tray of vegetables to the oven for another 10 minutes. 4) During the baking process, heat the liter of vegetable oil in a saucepan and deep-fry the garbanzo beans for one minute. Strain beans from the oil and allow them to sit on kitchen towels to absorb any drips. Season with salt. 5) To serve, pull meat from the turkey legs from bone and place over the kale and roasted radicchio and garbanzo beans and drizzle over any juices left in the braising pan and sprinkle with pomegranate seeds and persimmon slices.